For more than 50 years now, EUROSENSE is your partner in all services related to geographical information. From data collection, treatment and provision to value added applications, EUROSENSE offers a broad variety of geographical information made according to your specific requirements and needs. Our company is known to provide high quality end products created on the latest technologies on the market. EUROSENSE was founded in 1964 in Belgium. In a short period of time, the company became one of the most prominent commercial remote sensing organizations in Europe. It has branches in Belgium, The Netherlands, Germany, France, Hungary, Slovakia, Poland, Bulgaria and Romania. 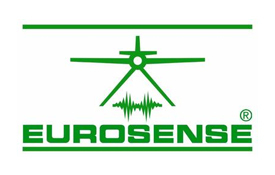 All services offered by the EUROSENSE Group are fully integrated within the group: aerial photography, aerial LIDAR (aerial laser scanning for height measurements), aerial multi/hyperspectral scanning, photo interpretation, processing and interpretation of aerial and satellite images, (photogrammetric) geodata processing, GISconsultancy, aerial thermography, inventory of forests and natural resources, digital orthophotography, cartography, hydrography and lots of other activities. EUROSENSE offers highly accurate and technological solutions in all these disciplines.